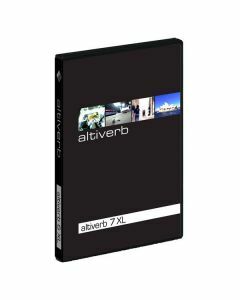 Altiverb 7 is the industry standard convolution reverb plug-in. It uses top quality samples of real spaces to create reverb, ranging from Sydney Opera House to the cockpit of a Jumbo Jet. Altiverb 7 is efficient on the cpu, offers many parameters to tweak reverb, is total recall automatable, and has 64 bit support. Altiverb 7XL adds TDM support, up to 5.1 surround mixing and sample rates over 96 kHz.